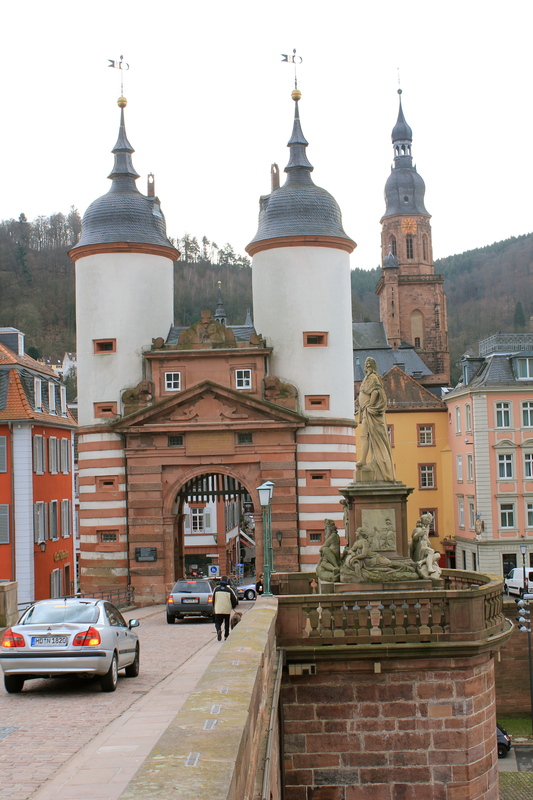 So, before I started work, I decided to be a tourist and visit one of the more popular tourist attraction towns of Heidelberg, Germany. Heidelberg is located 20 minutes southeast of Mannheim by tram. It is a very popular town to live in by foreigners because there is a fantastic international school present, it’s very picturesque, and the many US military bases around the town (since the early 1950s). 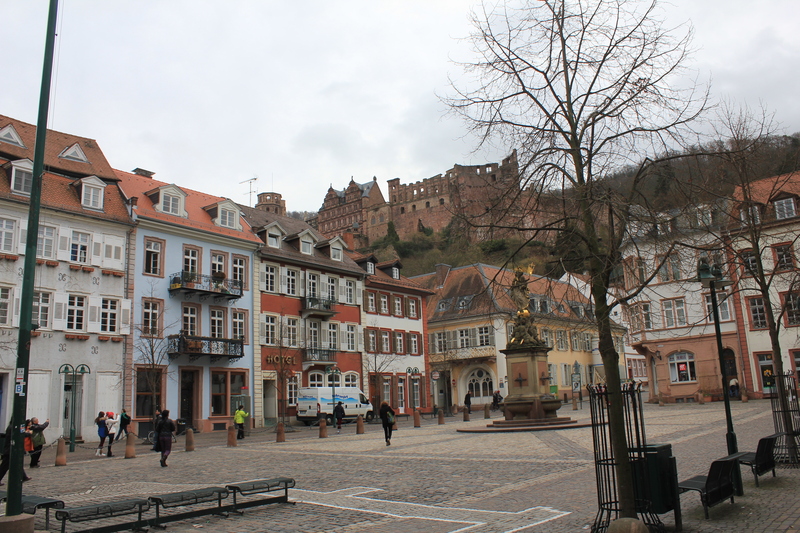 The history of the town goes back to as early as the 5th century with the ‘Altstadt’ or ‘Old City’ section with its castle ruins overlooking the town. The castle started construction in the 13th century, was destroyed in the 17th century, and preserved during the 19th century to today. 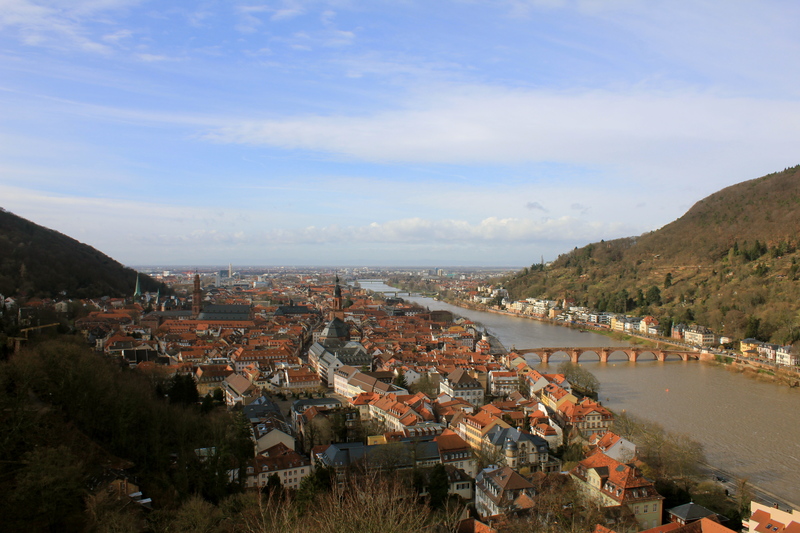 Heidelberg is situated on the banks of the Neckar River, which is a main tributary to the Rhine River. 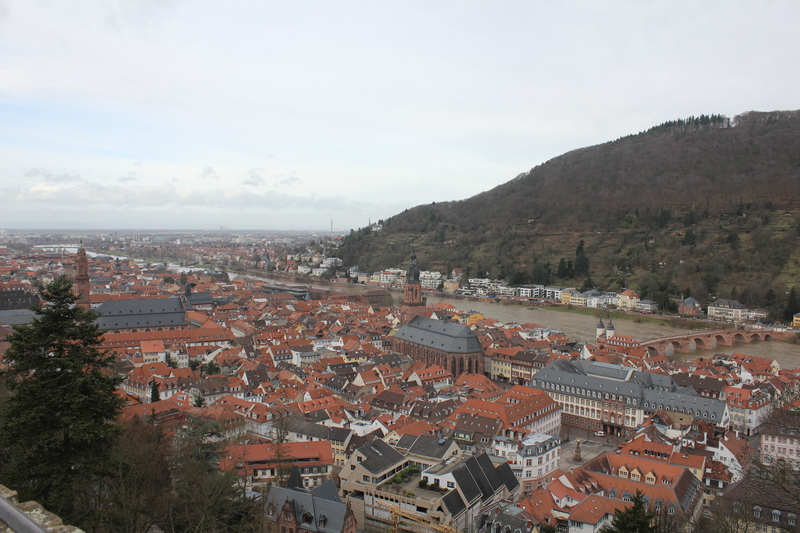 This picture was taken in Altstadt section of Heidelberg. This is the Marketplatz with the castle sitting on top the overlooking hillside. From the outside of the castle showing the ruins of the outside walls. 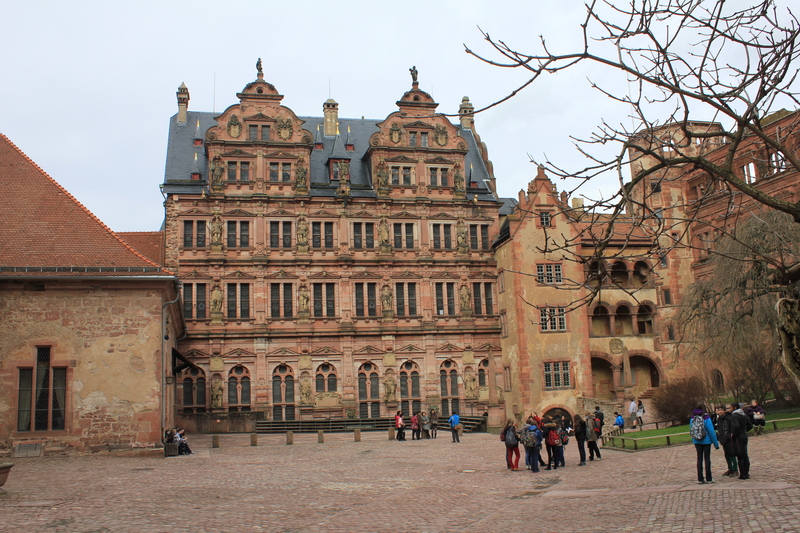 The castle was destroyed in the 17th Century in the conflict known as the “Thirty Years War” in which the Protestants rebelled against the Roman Catholic Church. 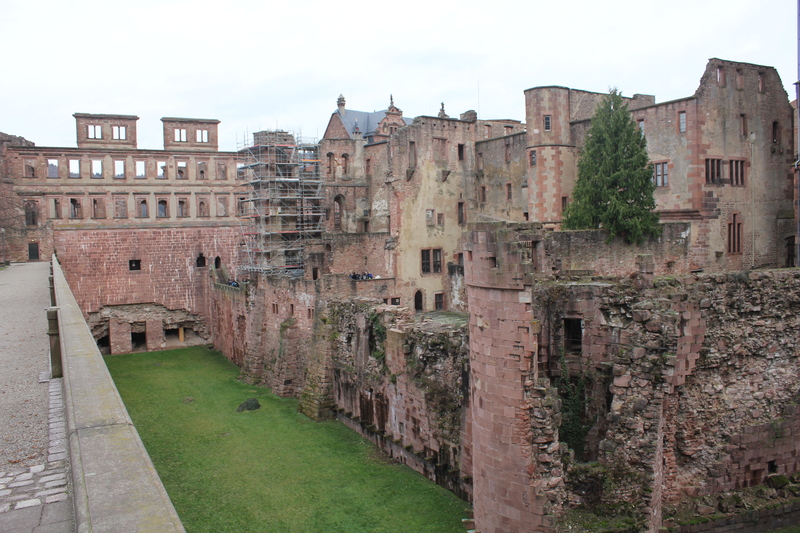 The castle lay in ruin for almost 200 years until the town of Heidelberg decided to preserve the heritage of the site. The next few pictures are the views seen from the castle. I brought with me a sandwich and bottle of water and ate lunch on a bench with this as my view. I literally sat and ate in awe at the view. I tried to picture in my mind what it had to have looked like hundreds of years ago, and realized that pretty much this was the view. Amazing. 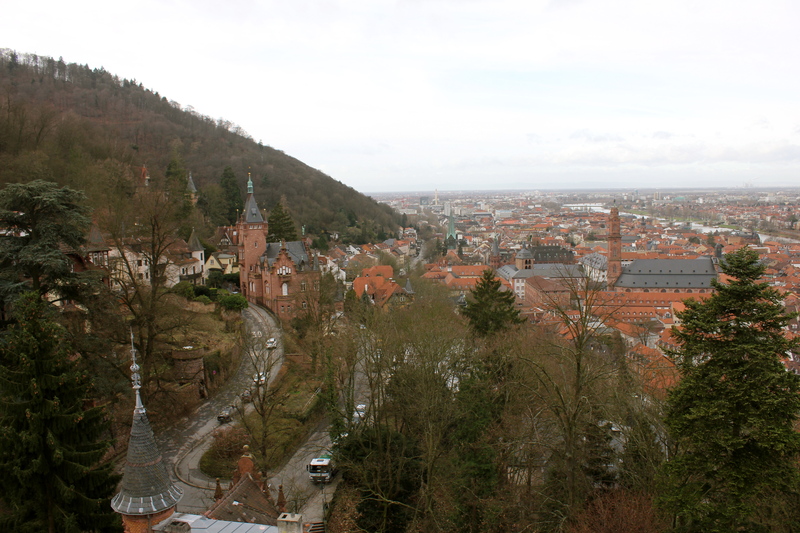 By the way, Heidelberg did not suffer any damage from either of the World Wars fought in Germany. Much of the original buildings and architecture still exists, as it has for hundreds of years. This is what the inside courtyard of the castle looks like. The inside part of the castle has been restored with a large cobble stone courtyard with engraved statues of important leaders throughout the ages adorned on the walls. When one thinks of Germany, beer comes to mind. While beer is both quite popular and VERY good in Germany, the region of Germany we live (the Palatinate and Baden-Baden states located in the southwest part of Germany) is known for its wine. Specifically, Reisling white wines are very popular here because of the geography and climate of the region (fertile ground and temperate weather). 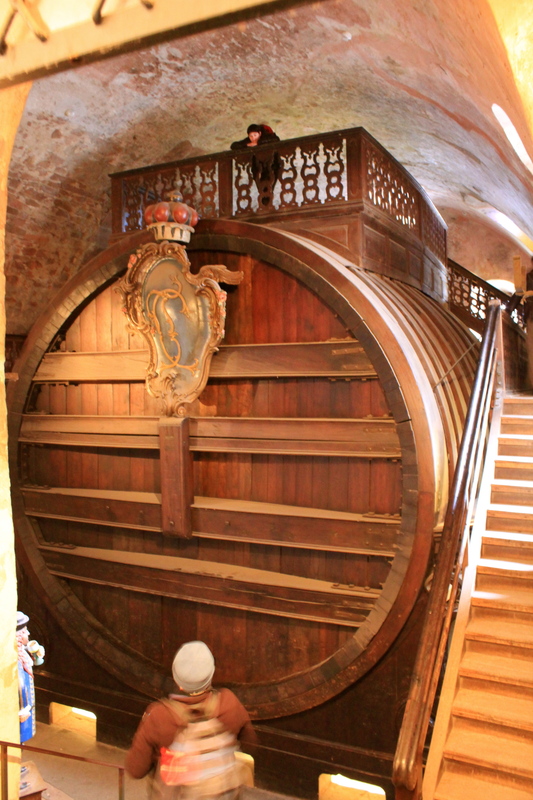 Inside the castle is an an extremely large oak barrel that I can only imagine held large quantities of wine for the castle. In this picture, you can get a sense of how large the barrel is by the man at the bottom and his son at the top. Ironically, at our wedding, we served Reisling wine. 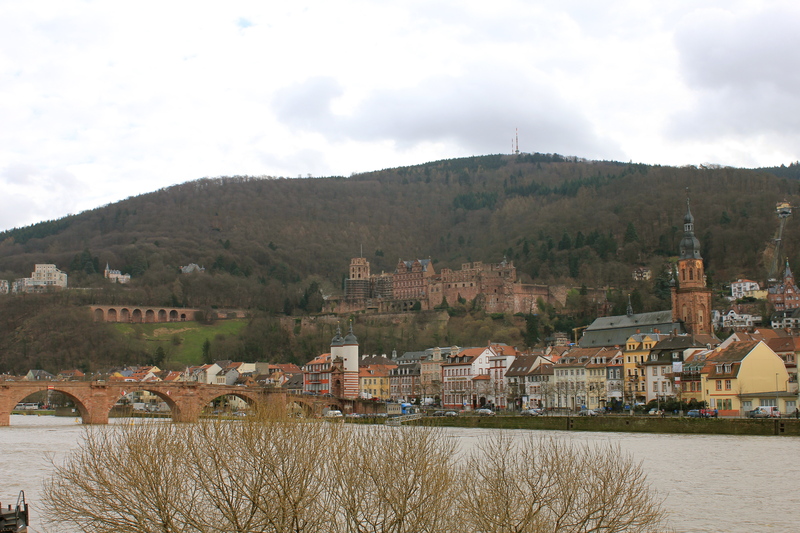 Then, finally, the view of Heidelberg from the other side of the river. Other than cars, there is very little evidence that much has changed in this view over the centuries.